Mothers Day in Mexico has been marked with a particularly somber note. Families from around the country took part in the third March for Dignity in search of their missing children. 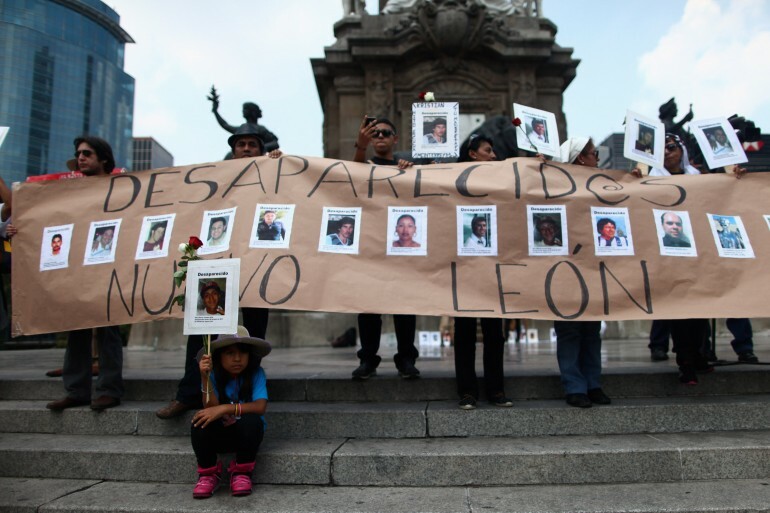 From the Monument to the Mother to the Angel of Independence in Mexico City, they demanded justice and asked for their children to be returned alive. About 800 people, mostly mothers, led a caravan that began in cities of Coahuila, Chihuahua, Nuevo Leon, Baja California, State of Mexico, Querétaro , Oaxaca, among other states. Mothers marched the entirety of Paseo de la Reforma, joining a cry for justice; mothers were weeping and choking. Mothers were also carrying pictures of their children with the date and place of disappearance or even detailing how they went missing; many held large canvas photographs of missing children, parents, siblings . Their signs read "Peña Nieto you have promised us action " or "Do not cross through Coahuila because that's where they disappear." "The clock has started ticking. We join in unison to scream. It will resound in all public offices that do not listen to us, " cried a mother, Mendieta Angeles from Coahuila. Among mothers chanting slogans were heard : "Where are, where are they, where are our children?" " Now, now, is the time, act now and punish the guilty ," Because they took them alive, we want them back alive." The mothers arrived to the Angel of Independence, where they passed around a list with missing children, some missing for months , others seven or even 10 years missing.